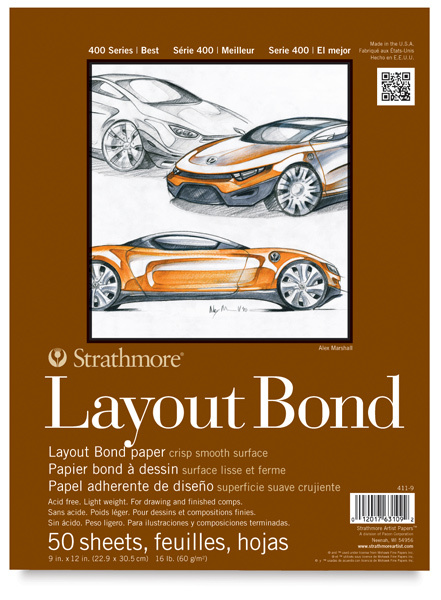 The 50 sheets of layout paper in Strathmore 400 Series Layout Bond Pads are ideal for both rough drawings and finished comps. Suitable for pencil, pen, and marker, the 16 lb (60 gsm) paper is glued into pads with flip-over covers. Layout Bond Pad, 9" × 12"